OEPS laver den sygeste graffiti med HAMA perler. Perlepladerne bliver hængt op over alt i verden, bliver stjålet over alt i verden og må hænge i stuer overalt i verden, fra Nuuk over Compton til Bangkok. OEPS bliver inspireret af hvad som helst, hvor som helst og elsker især de fire bogstaver O, E, P og S. Nogen siger, at OEPS står for Øjne På Stilke -men kan det nu være rigtigt? Øjne starter med Ø og ikke O E. Eller er Crewet bare stærkt internationalt orienteret? 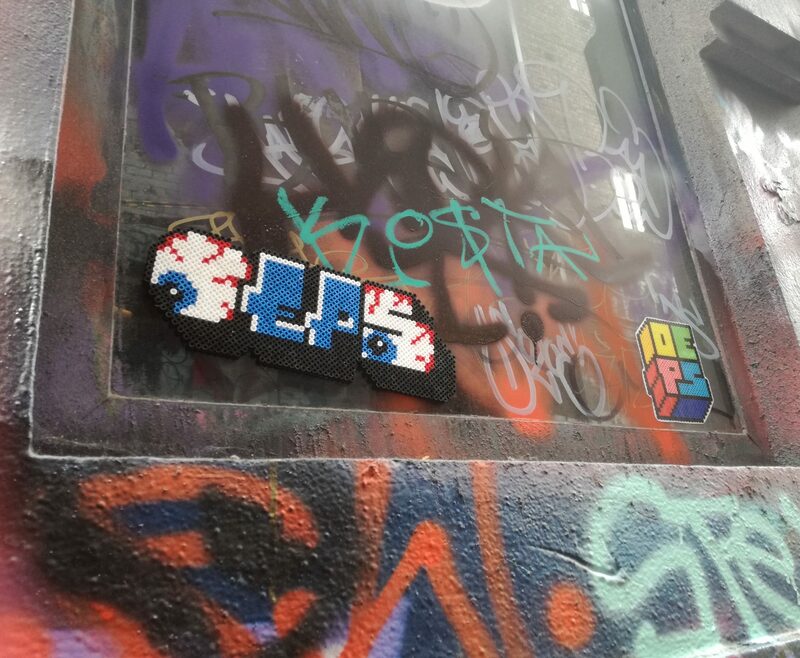 OEPS surprising use of HAMA plastic beads has brought a complex conversation to the streets. Their multiple signs are read as street art but with a fresh, playful but also critically informed focus: a good example would be an OEPS gun’s violence being put into question by its HAMA bead construction. 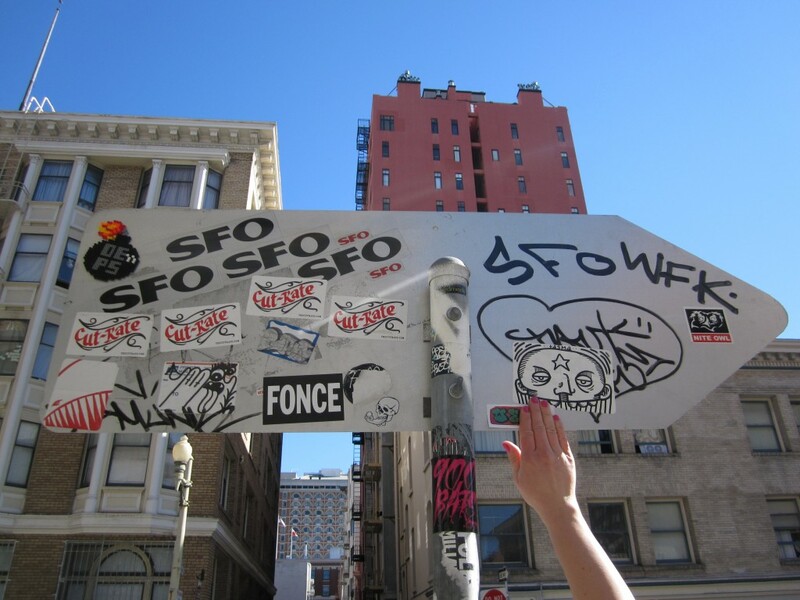 The tradition of street art is continued and emphasis is made anew on its identifiers: teamwork, material and the claim of the streets. Teamwork is tested, right to the limit by spending hours and hours beading together. This also comments on the process of making street art. By preparing the work beforehand, something is added or taken away from that process, even if the execution is similar. The beads, there’s nothing to the beads, they are put up, seen by a lot, rained on and sometimes nicked by fans or other, leaving the gum bead ’mould’ behind.